After an almost month-long hiatus, I wanted to write something before y’all forget about me! Sitting here in my New York City hotel room, there is so much to write about – all of the restaurants I visited in London at the beginning for the month for one, and all the ones I will visit in the US of A after that. But I’m going to start with baby steps, and make a special mention of the superb Japanese restaurant that P and I went to in Hong Kong last weekend, at the recommendation of a friend who used to live in Tokyo – AL knows his sushi! If you haven’t been to Sushi Shin, take a trip down foodie lane and check out this superb establishment in Tin Hau – I’ve been reading so much about all of the great restaurants popping up in the area, but this is the first (of many) that I’ve checked out. We sat at the sushi counter and opted for the omakase (a Japanese phrase which apparently means something along the lines of “I’ll leave it to you”), the chef chooses what you will eat, and how much you will eat. 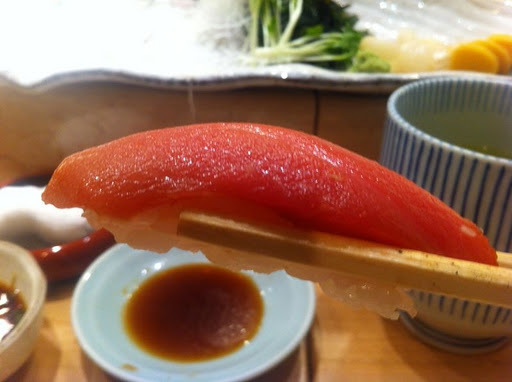 When it comes to raw fish, I usually stick to my favorites: salmon sashimi, sweet shrimp and chutoro (the belly area of the fish, tastier than the akami, but not as fatty as otoro). 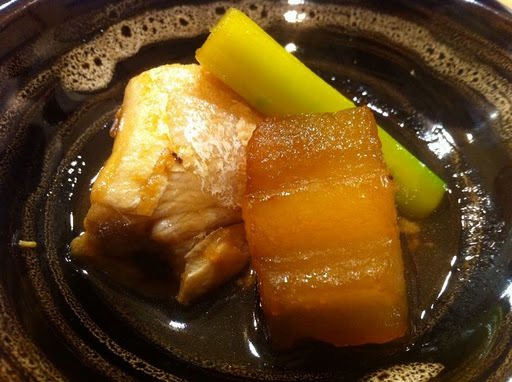 This tasting menu allowed me to test my boundaries, I gave the chef no limitations – I was going to eat what he gave me. We started off with two two types of yellowtail sashimi served with a ponzu sauce with scallions, garlic and ginger, and were instructed not to add wasabi or soya sauce. Next we had a mackarel sashimi (no photo unfortunately!). 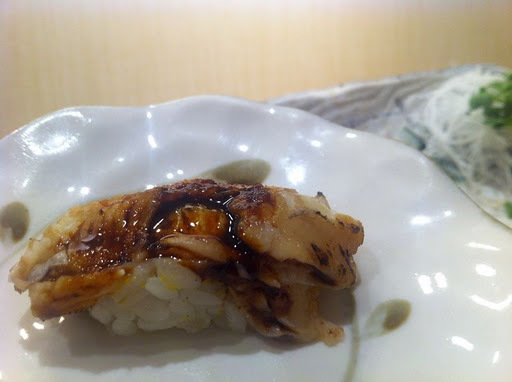 I love mackerel, but sometimes find it overwhelmingly fishy and oily. Served as sashimi, it is fresh-tasting and not fishy at all – a testament to the freshness of fish served here. 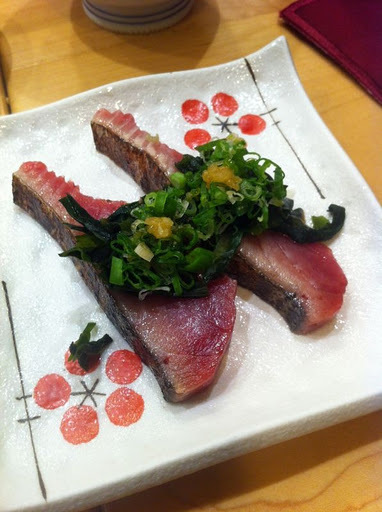 Lightly seared bonito served seasoned with seaweed, scallions, ginger. The crispiness of the skin together with the melt-in-your-mouth flesh of the fish was a wonderful fusion of textures and flavours. 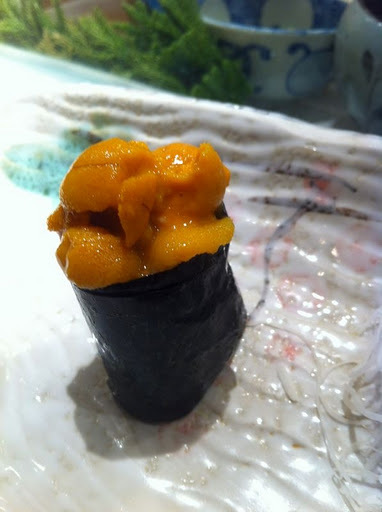 Uni sushi – the uni was a little too chilled for my liking, but the texture was silky and the taste very fresh. 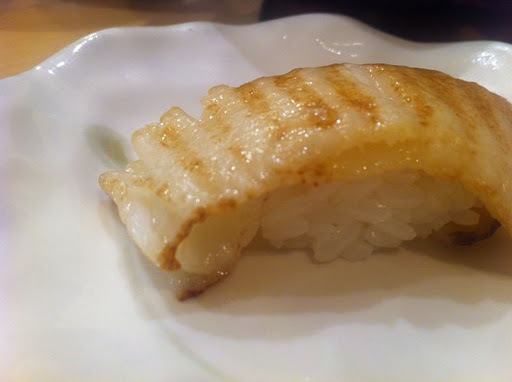 Not part of the omakase menu, I saw this being served to another table and just had to have it! Halfway through my tuna handroll, we had a terrible shock. The sous chef told us “This, last one.” So matter-of factly, so bluntly, with no regard for my stomach’s feelings. Last one??!! Surely he’s joking, just pulling our legs? 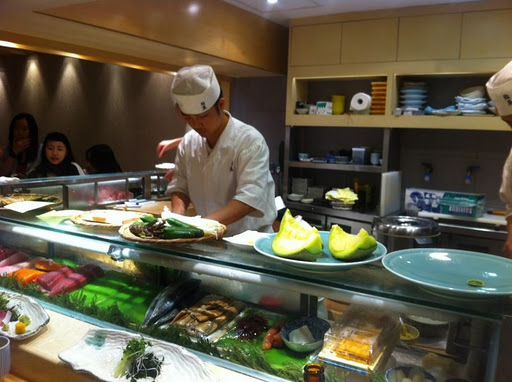 Surely he’s giggling to himself behind the counter, while sneakily preparing another tasty morsel for us to try? Sadly, no. That was it. 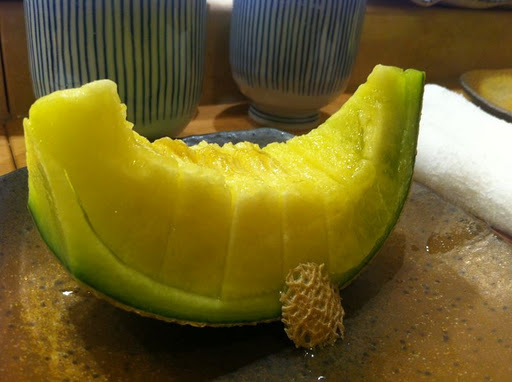 My stomach was sad, and my face showed it with a frown that I just could not hide. Chef asked if we wanted more, but we declined. In fact the timing was perfect – it was only then that we bothered to even look at the time and realised that we had already been there for 2 hours, and that our movie was about to start in 25 minutes at IFC. This omakase centered on creatures of the sea, and we were not served any heavy rice, meat or fried dishes towards the end. Everything was perfectly seasoned before serving, the soya sauce and wasabi merely decorated our table setting for most of the meal. Although they do also ask you in the beginning of the meal if there is anything that you don’t eat, there seems to be a relatively set price (and thus a general menu guideline) for the omakase. The fact that we were charged $100 for each piece of the seared chutoro nigiri in addition to the omakase price highlights this. They told us when we sat that it would be around $800-1000 per person and they were pretty much spot on. 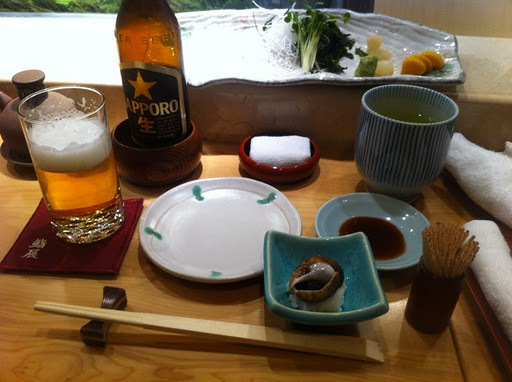 The bill came to $2,200 for two omakase meals, 4 beers and 2 tuna nigiri. Although I could have done with one or two more courses, we left feeling satisfied instead of uncomfortably full. 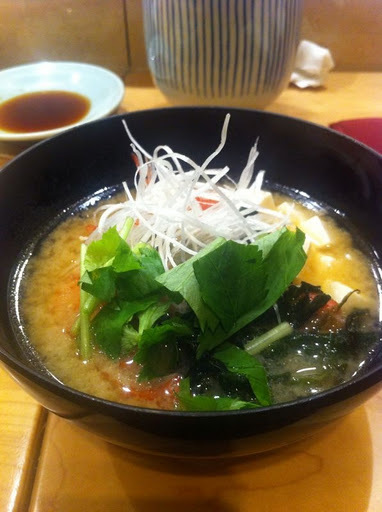 I’ll be going back soon to experience this quality and freshness, and also to try the other restaurants in the area. OMG, you're killing me!!! 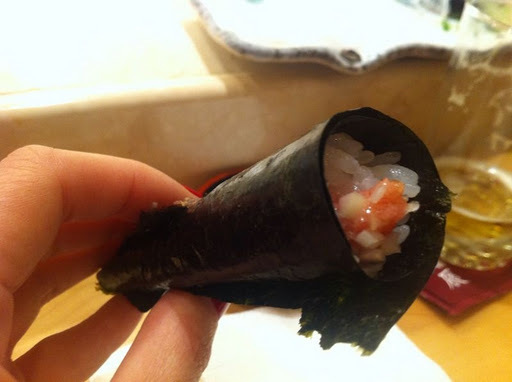 I haven't really been missing sushi TILL I READ YOUR POST!!! Looks so delish!! mmmmm…. 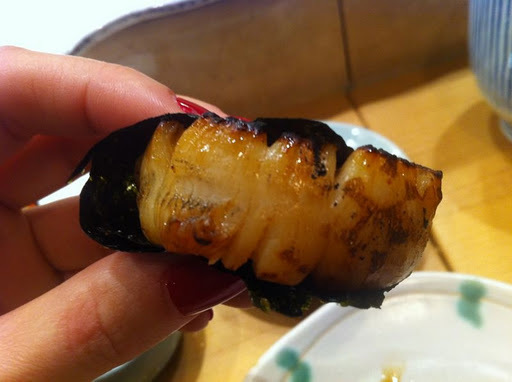 sushi……. I’m relieved that I’ve had the opportunity to discover hklovebites.